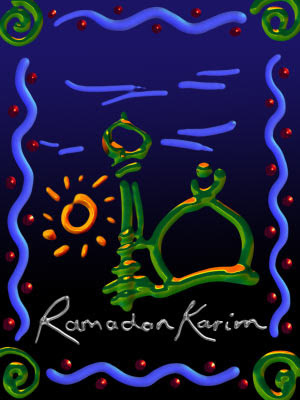 The month of Ramadan is known as the month of repentance and forgiveness. What is repentance? Does it suffice to say, "I regret and repent and hope Allah will forgive me" to be forgiven? How does the Almighty expect His sinning servants to seek repentance, and what assurances, if any, can they receive from Him of His acceptance of their repentance? What are the consequences if one’s repentance is rejected? If you have not wondered about these questions, and if you have not sought the answers for them, what is your chance of saving your skin from the fire of Hell? One is tempted even to go beyond all of this to ask: What does hell look like, and what are the other situations, starting from the moment of death, of which one should be apprehensive and for which he/she should prepare himself/herself? These are very serious questions, and to answer all of them requires a book by itself especially if their healing benefits are included. Verse 82 of Surat al-Israa refers to such healing when the Almighty says, and most surely what He says is the truth, "And We reveal of the Qur’an that which is a healing and a mercy to the believers." Numerous ahadith of the Holy Prophet of Islam (pbuh) and his Aid al-Bayt (as) have explained which verses heal what ailments. We need your prayers, dear reader, to enable us to publish a book containing such precious and useful knowledge for our believing brethren. Qur’anic verses referring to repentance are numerous. Repentance is so importance that the Almighty dedicated an entire Chapter in His Book (the Holy Qur’an) to: Surat al-Tawbah, Chapter of repentance (No. 9). Other references to repentance can be found in Chapters such as these: al-Baqarah, al-Maaida, al-An’am, Hud, al-Furqan, al-Qasas, al-Mujadila, al-Muzzammil, Aali ‘Imran, al-Nisa, al-A’raf, al-NahI, al-Noor, Ghafir, al-Ahqaf, al-Tahrim, alHujurat, al-Furqan, al-Ahzab, al-Buruj, al-Shura, al-Tahrim, al-Nasr, al-Ra’d, al-Furqan, and many others. As a matter of fact, Qur’anic verses referring to repentance, death and the life hereafter outnumber all verses dealing with Islamic obligations combined. This is how important repentance is. Nobody is exempted from having to seek Allah’s forgiveness and to repent for his faults and shortcomings, not even the Prophets and Messengers of Allah, including the very greatest of all of them, our Prophet and Messenger Muhammad (pbuh) who used to seek forgiveness at least a hundred times a day without having committed a sin. On p. 407, Vol. 2, of al-Kulayni’s Al-Kafi, Imam Abu Abdullah al-Sadiq (as) is quoted saying that once a servant of Allah truly repents, that is, regrets having done something wrong and ceases to repeat doing it, Allah will love him and grants him a covering in the life of this world and in the hereafter. And the Almighty never tires of forgiving His servants and accepting their repentance. Muhammad ibn Yahya quotes Ahmed ibn Muhammad quoting Ibn Mahbub quoting al-’Alaa quoting Muhammad ibn Muslim quoting Imam Abu [father of] Ja`far al-Baqir (as) saying the following to Muhammad: "O Muhammad ibn Muslim! A sinner’s sins are forgiven when he repents them; so, let believers do good deeds following his repentance and [Allah’s] forgiveness. By Allah! This applies only to those of deep conviction." Muhammad asked the Imam (as), "What if he goes back to committing those sins after having repented and sought forgiveness for them, then he repents again?" The Imam (as) said, "O Muhammad ibn Muslim! Do you think that a servant of Allah regrets having committed a sin, then seeks forgiveness for it and repents, that Allah does not accept his repentance?" Muhammad said, "But he has done so repeatedly: he commits a sin then repents and seeks [Allah’s] forgiveness [and so on]..." He (as) said, "Whenever a believer returns to Allah and seeks His forgiveness and the acceptance of his own repentance, Allah will return to him forgiving, and Allah is most Forgiving, most Merciful; He accepts repentance and overlooks the sins; therefore, beware of letting any believer lose hope of achieving Allah’s mercy." This dialogue is recorded on p. 409, Vol. 1, of al-Kulayni’s AI-Kafi. But nobody should ever take the Almighty for granted. A man in the company of the Commander of the Faithful Imam Ali (as) once said: ‘Astaghfirullah." The Imam (as) said to him, "May your mother lose you! Do you really know what forgiveness is? Forgiveness is the degree of ‘Illiyyeen (see verses 18 and 19 of Surat al-Mutaffifun), and it is a proper noun incorporating six meanings: 1) regret about the past; 2) the determination never to go back to doing t again; 3) that you should pay people what they owe you till you meet Allah without having any burden to bear; 4) that you should rake up for any religious obligation and meet its requirements; 5) hat you should approach your flesh that grew out of consuming what s unlawful and make it dissolve through your grief till your skin ouches your bones and new flesh grows between them; and 6) that iou make your body taste of the pain of obedience [to Allah’s commandments] just as you made it taste the sweetness of disobedience. It is only after that can you say "Astaghfirulla." This is recorded n NahjuI Balagha (wise saying number 253 of the original Arabic text; all present English translations of this great book fall short of doing justice to its original text).